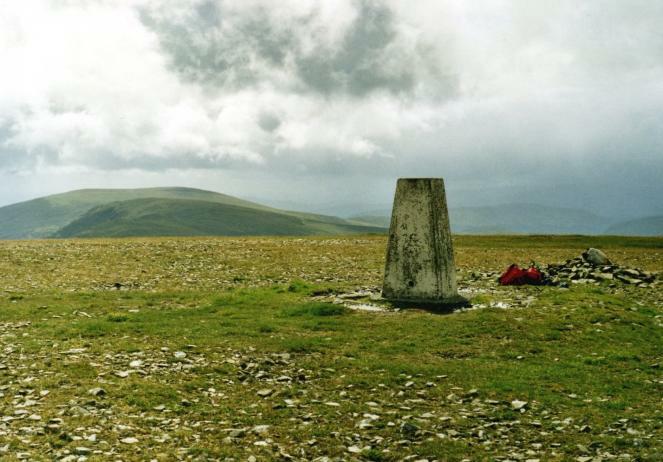 Is ranked joint 1921st with 31 other trigs (more). Weather still holding up for us, so well worth taking the opportunity to plod up here for one last big hill, before starting to make tracks back home. Finally beginning to get familiar with the grander Galloway landscape. Trig pillar doing very well up this high considering the exposure that it must get here. Superb Rhins of kells ridge walk. Parked at Burnhead bridge CP NX553863, second car at Drumjohn NX526975. Ignore "good luck" chalked on track just before turn to stile at NX535839 - its a straightforward pathed ascent and the whole ridge is walked on good ATV tracks. FP at northern end exits on track at NX 50587 96399 - would be difficult to spot in reverse. 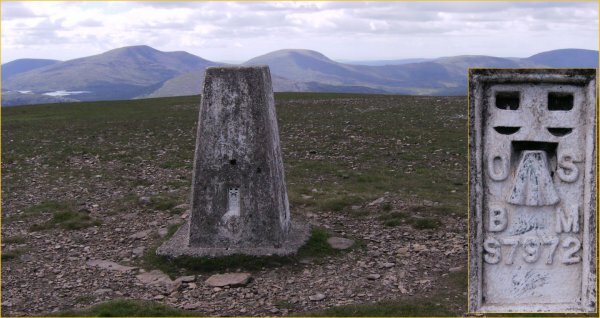 Second pillar on the Rhinns of Kells walk. No views due to mist. 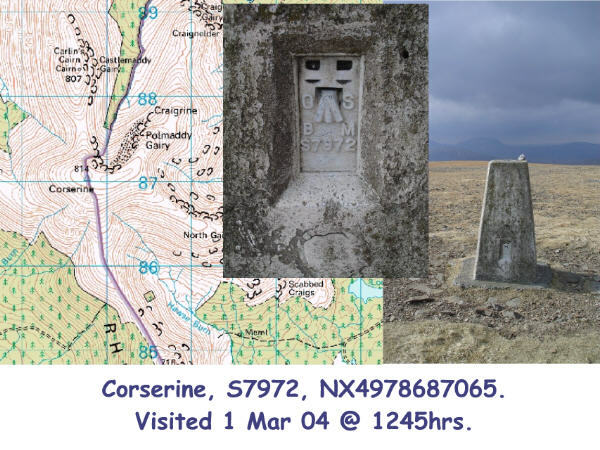 Fantastic 13 mile circular walk in perfect weather from Forrest Lodge through forest up onto Meikle Millyea trig, Milldown, Millfire, Corserine trig and Carlins Cairn, back down into the forest back down to Forrest Lodge. Great views towards The Awful Hand. Bagged Dalry FBM after. 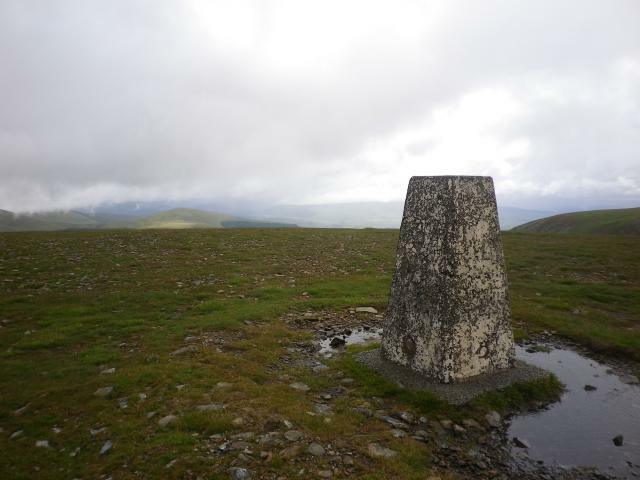 Second trig on a trip round the Rhinns of Kells. Spider open. Previously visited this Corbett 02/09/99 no trig details noted. On Rhins of Kells walk. from forest lodge, then up path to east of summit. Visited several years before as well. Free car park kindly provided by Estate at NX552862. Follow mapped forest tracks to open hill worn paths to/from summit. Pillar in good condition. Spider centre open. Flush bracket faces 101�, east. Vented through north sight hole. 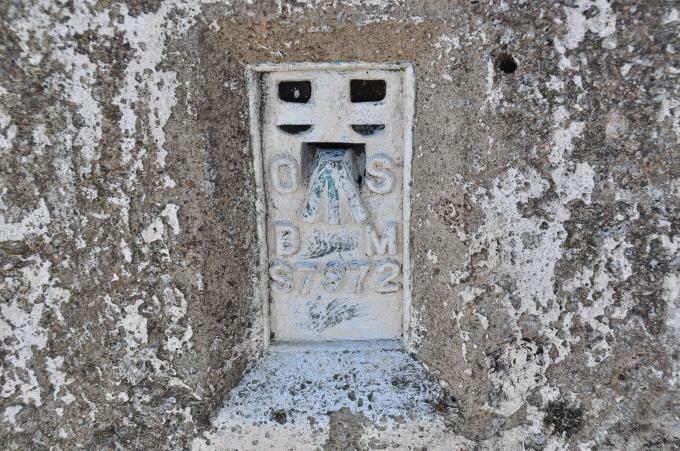 The pillar was completed 4th August 1955 costing �88.6s.6d. 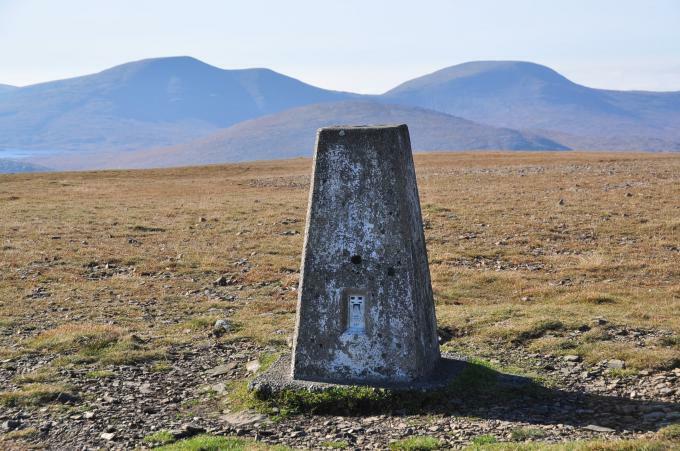 In 1958 this marker was computed for triangulation as tertiary station NX56/DM/T13 in the Kirkcudbright. 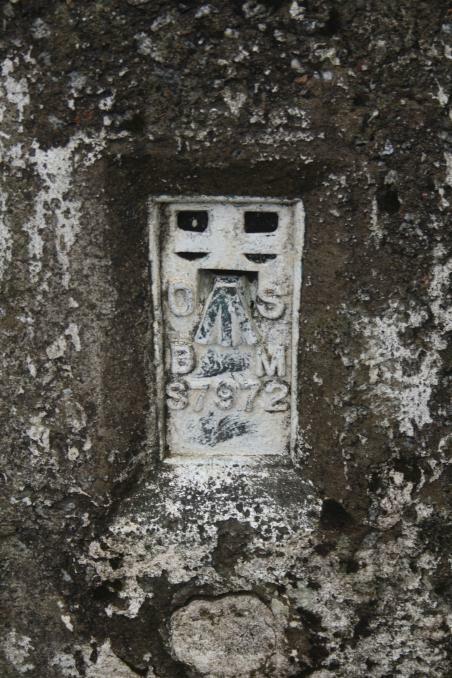 The flush bracket was levelled for height also in 1958. 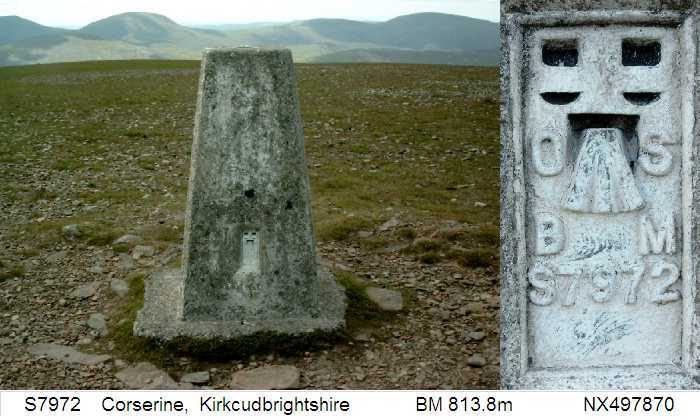 The trig point was last maintained by the OS in June 1985. 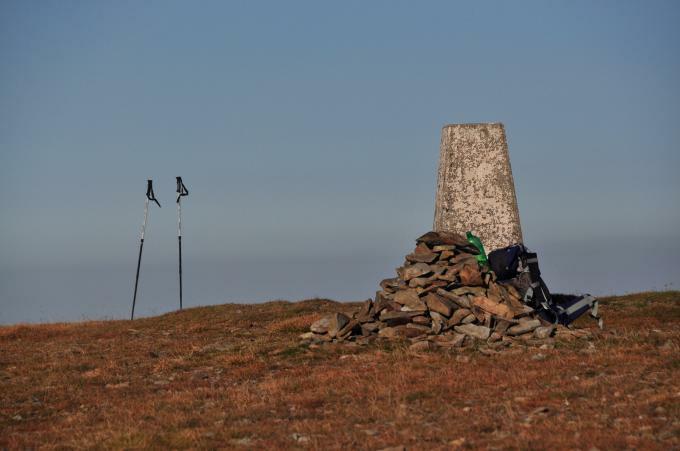 Big long views in all directions include North Pennines, Lake District, Criffel, Northern Ireland, and Mull of Kintyre. 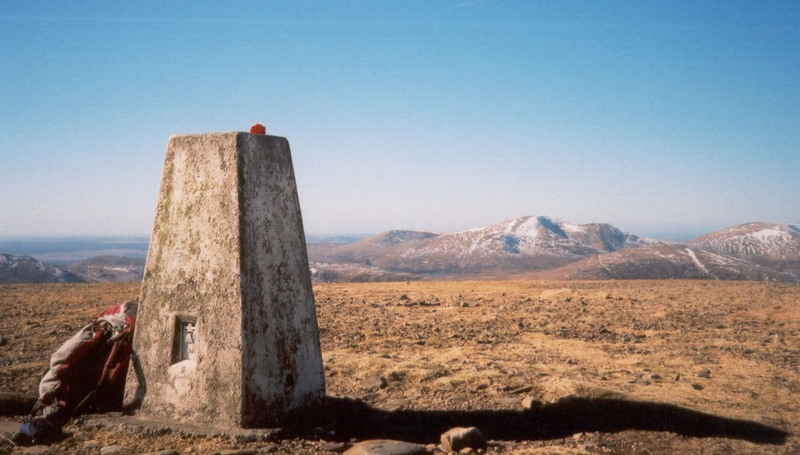 Shorter range views include Cairnsmore of Carsphairn and Merrick. Still managed to lost the path on the return journey. 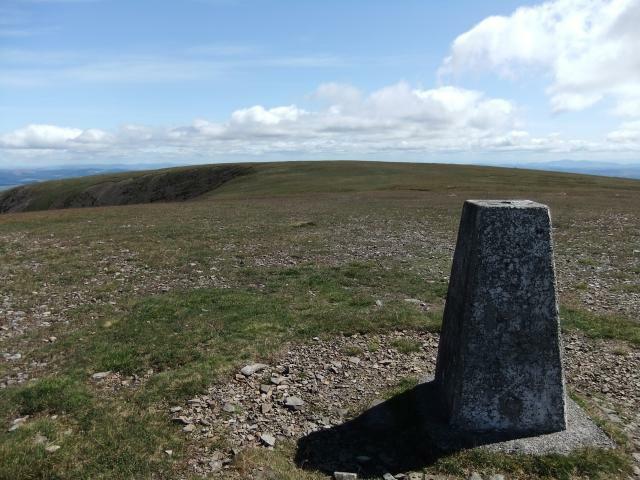 vgc, no cap or plug, flat stone & grass summit, fine view W to Merrick group..2 -car S-N traverse of Rhinns of Kells. This is a bit of haul to get to but well worth the effort. 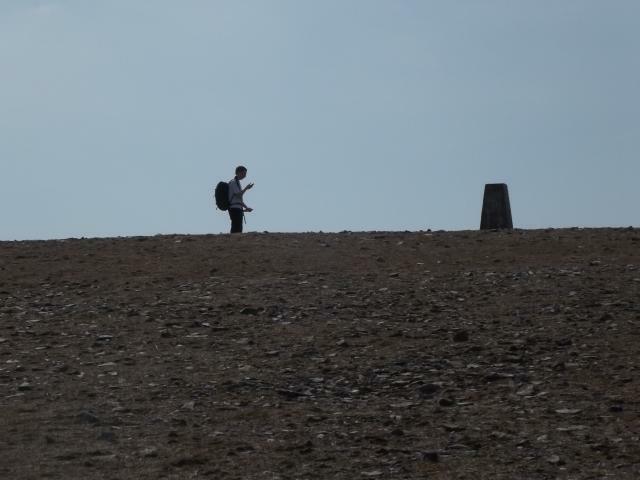 It took about 2.25 hours to reach from Forrest Lodge to the south east with about 700m of ascent. 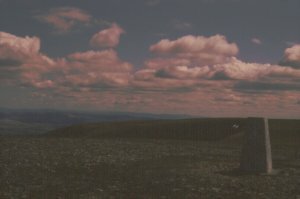 The pillar sits in isolation on the top of the Corserine summit plateau. Traditional trig. Top intact. Has been painted white. A Corbett. From Forest Lodge and back via Millfire and Meikle Millyea. Corserine Looking towards Meikle Millyea. Middle of a big smooth plateau.